" Our White Paper provides a solid policy framework for our work going forward and all higher education and training legislation must be aligned with it. Consequently all legislation pertaining to higher education and training will be reviewed. Amendments to at least the Higher Education Act, 1997; Skills Development Act; National Qualifications Framework Act, 2008 and the Continuing Education and Training Act, 2006 are envisaged. During the next five years we will concentrate on amendments to legislation and their implementation to enhance the current system." Any document that has been in the making for three years is anticipated with a certain amount of awe. Even more so, given the flurry of activity generated by Minister Nzimande's Department of Higher Education & Training (DHET) since its inception in 2009. Rather than be intimidated by the sheer size, complexity and independence of institutions in the post school sector, Minister Nzimande showed an appetite for streamlining the sector which equally matched the massive task in front of him (a task which had been somehow avoided by each education administration before him). For all his opponents' criticism about the direction he was taking the DHET, and the speed with which he was moving, Minister Nzimande's White Paper has now delivered a clear statement of the DHET vision for 2014 - 2030. It is a vision statement based on the hard experience gathered by the Department since 2009, rather than the theoretical musings of a new administration, which may have been the case if it was issued five years ago. Education & Training practitioners in this space who have been run off their legs keeping up with the rapid pace of change, can sigh in relief that the document contains no shockers or exotic new strategies. Instead the document consolidates and clarifies the frantic activity since 2009 into a concise vision statement of the potential future post school sector. The vision of the White Paper is however no less dramatic and bold than the other developments we have seen in this space since 2009. The importance of work integrated learning (i.e. structured learning in real workplaces linked to formal theory in an institution) is the clearest and loudest message in the White Paper. It is a message which will resonate with employers and workplace learning practitioners and hopefully impact positively on employment creation by improving the work readiness of new entrants to the labour market. Other than this, the White Paper also expands on some good ideas that started emerging already since 2010, such as the proposal for Community Colleges (for learners not served by the universities, colleges or skills development providers) a push to get Open Learning resources more freely available, and the centralisation of certain key DHET functions that have been devolved to other parties without the expected impact (skills planning, quality assurance of occupational learning, and funding). The White Paper for the first time has a chapter on private provision, and acknowledges that "Private institutions play a significant role in providing post-school education to South Africans" (pg 42). It acknowledges that the drive to get every SETA to set up offices in every public FET / TVET colleges, is unrealistic, and it acknowledges the danger of bureaucratisation that our quality assurance systems have often frustratingly fallen into. The short, 7 page executive summary of the White Paper is well written and covers all the main features of the main document. I recommend you read at least the executive summary, if you don't have time to read the whole document, or the blog post below, which covers some of the highlights of specific relevance to workplace learning practitioners. The purpose of the White Paper is to communicate government's focus and priorities between now and 2030. It will therefore shape future government strategies and operational plans for the post school system (e.g. NSDS IV). An operational plan to match the White Paper is to expected to follow later this year. The vision of the White Paper is an expanded, effective and integrated post school system. Integration is a key issue because the DHET was formed in 2009 out of the skills branch of the Department of Labour and the vocational and university branches of the previous Department of Education. The institutions inherited from this merger were not well co-ordinated across the post school sector, yet the logic of their work necessitated close integration. The period between 2009 and the White Paper has involved a huge amount of work in trying to get the diverse institutions that now make up DHET's responsibility to be accountable to governance, to talk to one another, share resources, and to all pull together towards one unified purpose. This is not a negative reflection on those institutions, but a natural outcome of the fact that they were separated by different national and provincial government reporting lines, resulting in a "silo approach" that made integration impossible. The White Paper's vision helps DHET prioritise and organise all these ongoing developments. The tweets below highlight some of the surprises and more relevant developments in the White Paper. Please follow me on Twitter to get updates and breaking news. White Paper on Post School Education & Training on Dipity. As you can see from the timeline above, there was a two year gap between the Green Paper, which was issued to gather public comment, and its finalisation in the White Paper. Nearly two hundred public comments were received during this period, and various bodies held briefings on the Green Paper to develop a national conversation about what the new post school vision should look like. So what were the shifts that took place between the Green Paper (January 2012) and the White Paper (2014)? The following data shows some interesting comparisons between the two documents based on a simple textual analysis. Both documents were a similar page length (98 pages - Green Paper, 96 pages - White Paper), allowing a rough comparison to be made. The data in orange rows below shows the top increases in words and terms between both Papers. Inserted in white and blue rows are terms that are associated with "workplace learning" in general. For the full data set click here. For notes on the decrease in the term "occupational" see the end of this post. As we will discuss in a forthcoming section, "Themes", the White Paper has come a long way from the Green Paper when it comes to understanding the importance of workplace learning in the overall post school education and training sector. 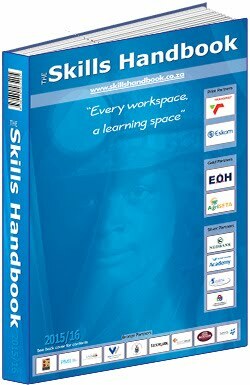 This was immediately evident in the fact that the Green Paper had a one page chapter dedicated to "Workplace based learning", and no dedicated section for the skills development sub-system. The White Paper on the other hand has an entire 12 page chapter dedicated to "Linking Education & the Workplace" (well worth reading). Note: a simple textual analysis of this kind is useful in highlighting a preponderance of words related to a specific topic, but should not be used to extract more subtle conclusions. For example the 40% decrease in the word "Funding" does not necessarily mean that funding is no longer important in the White Paper, but rather that funding issues have now been resolved. Many research reports and task teams have acknowledged that SETAs were established with far too broad a scope in the year 2000. The White Paper builds on this realisation by envisioning a more narrow role for SETAs focussing on their role in (1) building strong linkages and relationships between the educational system and the workplace, and (2) supporting education and training provision for workplaces. The White Paper is full of new developments, some of which are covered under specific headings elsewhere in this article (e.g. SETAs, above), and the rest of which are grouped in this section. A new role-player in the post school education and training system is introduced in the form of community colleges to meet the need for learners who are not serviced by other parts of the post school education and training system. Who will community colleges cater for? Where do community colleges come from? 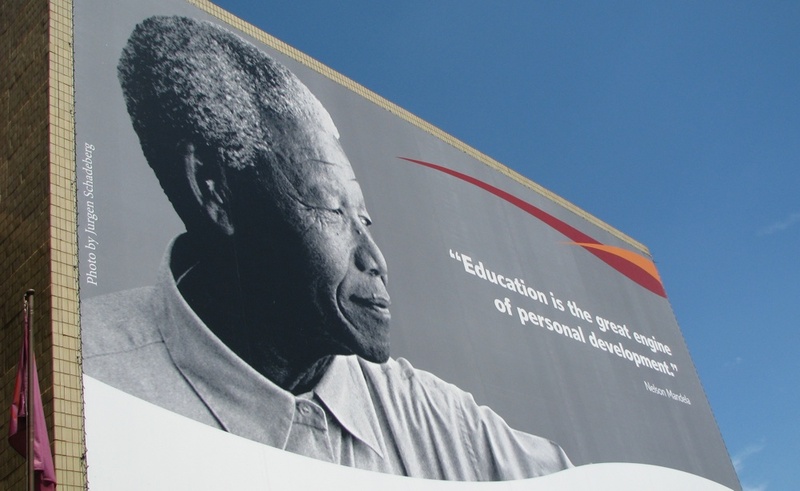 South Africa has a long history of informal and semi-formal learning for adults, including the worker's night schools in the 1920's and more recently the anti-apartheid community education initiatives organised by NGOs, churches, trade unions and political parties. Such initiatives can be very vibrant and effective at meeting the needs of community learners due to the closeness of the relationship with the local community and its needs, and the intersection of learning for personal, social, family and employment purposes. Given the small scale of operation for a typical community college, it can be significantly easier to build linkages between local government, local business, co-operatives, community organisations and individuals, and turn these linkages into a cycle of lifelong learning that serves adults at a variety of stages in their lives. What will community colleges look like? They will be multi-campus institutions which cluster the 3,200 Public Adult Learning Centres (PALCs) across the country, which currently serve about 265,000 learners. What learning programmes will community colleges offer? It will also include programmes of relevance to communities such as community health care; parenting and childcare; early childhood development; care for the aged; care for those with HIV/AIDS and other diseases; citizenship education; community organisation; using new technologies (such as the internet and smart phones) to find information, market local products and organise community action; arts and crafts. Community colleges will be rolled out in a phased approach and preceded by pilot projects to help confirm the most appropriate implementation methodology. DHET aims to support one million learners in Community colleges by 2030.Community colleges will be supported by he SA Institute for Vocational & Continuing Education & Training (SAIVCET) - see heading below. The concept of community colleges was introduced in the Green Paper under the name "Community Education & Training Centres" (pg 30) but was only 2 pages in detail, whereas in the White Paper it has been fleshed out considerably to 5 pages. For more information on the community colleges read this section in the White Paper here. Another idea floated in the Green Paper was for an institute called SAIVCET. In the Green Paper SAIVCET was to support the FET college sector, the SETAs and continuing education in general (continuing education includes CPD, short courses, industry specific courses and part-time learning, all for adults). In the White Paper SAIVCET is more narrowly focused on supporting the TVET / FET colleges and the community colleges (clearly the SETAs do not need support :)! The creation of SAIVCET can be seen as part of the centralisation theme that is common across the White Paper (for example skills planning, quality assurance and funding being centralised away from SETAs into specific entities). SAIVCET will bring dedicated and expert support to the TVET college sector, (as well as presumably offering cost savings where duplication of this support across individual colleges can be eliminated). This support will primarily focus on curriculum innovation and development, and lecturer professional development. Currently such specialised support capacity does not exist in DHET. SAIVCET follows an international trend in vocational education and training, where institutions like this are generally created outside of direct government but directly in support of its objectives. Other countries with similar institutes include India, South Korea, Switzerland and Germany. Many responses to the SAIVCET proposal in the Green Paper warned about creating too much bureaucracy and yet another state funded institution. In response the White Paper promises that SAIVCET will have a small full-time staff and will focus instead on building a network of specialists from universities, NGOs and other organisations. SAIVCET's several additional functions are outlined on page 25 - 26 of the White Paper. One of the more interesting functions mentioned here is that it will have a monitoring and evaluation unit that will perform 360 degree assessments of colleges and present the resulting reports to the relevant college as well as the DHET, highlighting challenges identified as well as recommending corrective measures. The White Paper dedicates a 7 page chapter to "Open Learning through Diverse Modes of Provision" (up from 4 pages in the Green Paper), realising that in order to expand access to education to more and more people, from more diverse backgrounds, creative solutions to the provision of learning will need to be adopted. Open learning is not limited to distance learning - in fact the White Paper notes that most learning in South Africa is either face-to-face learning (classroom based) or distance learning, and too little learning takes place in the continuum between these two extremes. However digital technology, e-learning and distance learning are all modalities that can support the ideals of open learning. In South Africa distance learning already makes up just less than 40% of all head-count enrolments in the university sector, showing just how important a role these modalities can play. DHET's open learning landscape is "a network of education providers supported by learning support centres and/or connectivity for students." The White Paper mentions that the Central Application Service (CAS), will replace all university application systems, so that student walk-ins will be prevented as all student university applications get processed and administered from one central point. It also mentions that the CAS will be expanded to support applications to the TVET / FET colleges. CAS saves students from paying multiple application fees (and submitting multiple application documents to universities). It also enables students to be routed to alternative universities (and in future TVET / FET colleges) should their first choice of study not be approved. Overall credit and responsibility for the White Paper sits with the Department of Higher Education & Training which drove the process of conceptualising the document and inviting input from a diverse range of stakeholders. Commenting on other contributors, John Pampallis stated: "There were also many other researchers and policy analysts who contributed to both the Green and White Papers, including those who sat on various Ministerial Task Teams that informed the policy. The almost 200 submission (public comments) on the Green Paper were all considered and many ideas were gleaned from them The Minister himself was the originator of many of the central concepts; the contents of the White Paper were discussed with him continuously as as the document was being developed." Input also came from Cabinet, the Parliamentary Portfolio Committee on Higher Education & Training, trade unions, SETAs and employer groupings. If you have specific questions you would like answered about the White Paper, please use the comments facility below to post them. The exception to the trend in the table above is the term "occupational" which took a 61% dive between the Papers. Both "occupational" and "QCTO" took a dive (see full data set). Rather than reflecting a move away from the importance of these terms, this decrease could be due to the relative closure brought to the debate around the sub-frameworks of the NQF, and the quality assurance bodies in general, in the White Paper. The Green Paper extensively explored options around the sub-frameworks and also post school institutions in general, whereas the White Paper brought closure to many of these debates. This would also explain why "NSA", "NQF", and "Quality assurance" are mentioned far less frequently in the White Paper.